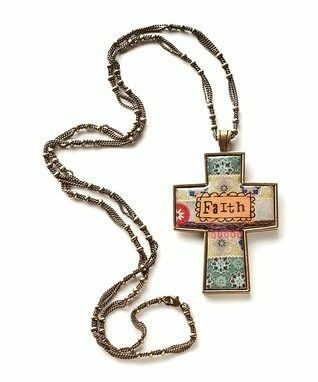 'Faith' Large Cross Pendant Necklace Only $9.99! You are here: Home / Great Deals / ‘Faith’ Large Cross Pendant Necklace Only $9.99! ‘Faith’ Large Cross Pendant Necklace Only $9.99! In the mood for feel-good glow? This ‘Faith’ Large Cross Pendant Necklace for Only $9.99 is fashioned with brassy, beaded chains by Kelly Rae Roberts!